When LinkedIn launched the ability to upload videos natively seven months ago, you could only upload clips to your personal LinkedIn profile. It meant you no longer needed to upload your video to YouTube and paste a sharing link in your post. Now, you can upload video to your Company Page as well (here is ours). Also, while you've been able to pay for your text and image posts to appear in the LinkedIn feed as sponsored content, you can now promote video content, too. Professional context – Your thought leadership or subject matter videos no longer sit alongside cute-cat-videos on YouTube, with all sorts of advertising served on your videos. KYV (Know Your Viewer) – YouTube doesn't show you – let alone help you make contact with – the people who watched your videos. LinkedIn does. Landing page – On some occasions we have produced news content for clients who then uploaded the video to YouTube, but did not have a landing page to embed the video in. This is a problem because YouTube does not allow you to annotate your video with a link to your website without having gone through an approval process (otherwise people could bypass Google AdWords). With native video on LinkedIn, your LinkedIn company page can serve as that landing page. This is particularly important if you are promoting the video through Dianomi or similar content accelerators. Ready-made audience – Before you set up your video camera and record anything, you should first figure out how you will measure the success of the video. This usually starts with identifying the audience and what channels they watch. With native video on LinkedIn, this decision is already made for you: it's professional LinkedIn users, and in particular your 1st and 2nd level connections. So you can be much more specific in pinpointing the success measurement of your video by answering the question: "As a result of watching this video I want people who already know me through LinkedIn to…"
Frequent, not regular – Ideally you would produce more than one video, but people often mistakenly think they need to produce video content regularly to be successful. This approach sets you up for failure, especially on LinkedIn. Say you plan to record "every Tuesday afternoon" or "every second Friday morning", there will be times when you have to shift the date because of other meetings, travel commitments, sick or holiday leave. All of a sudden it's not so regular anymore. But even if you do manage to stick to this timetable, there will inevitably be days when you have nothing new to report, or nothing valuable to say. You will end up recording blather for the sake of it. Your audience might forgive you on YouTube, but on a professional network like LinkedIn they will be disappointed and they will not watch the next time. So, the key is to record video content frequently, not necessarily regularly. 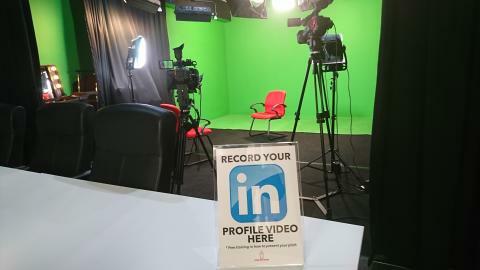 We are holding LinkedIn video training workshops in Singapore and Kuala Lumpur in May and hope you can join us.